SAN FRANCISCO--(BUSINESS WIRE)--Today, Sephora announced updates to its beloved Beauty Insider program, giving members even more choices in 2019. From new gift offerings and perks, the benefits continue to deliver against the program’s core mission: to celebrate clients’ love for prestige beauty through unparalleled rewards, experiences and a sense of community. Birthday Gifts for All – New Year, New Perks! In 2019, members of all three program tiers – Insider, VIB, and Rouge – may choose a free gift during their birthday month. This year, mini sets from Drunk Elephant (Beste No. 9 Jelly Cleanser and Protini Polypeptide Cream), and Kat Von D Beauty (Tattoo Liner, Lock-It Setting Powder, and a Studded Kiss Crème Lipstick packette) are available to clients year-round. Special Birthday Perks Only for VIB & Rouge Members – More ways to celebrate YOU! VIB and Rouge members may now also choose from a third product option, available exclusively via the new, online Birthday Boutique during clients’ birthday months. This third rotating birthday gift option will change throughout the year, so clients should check back as their birthday gets closer! 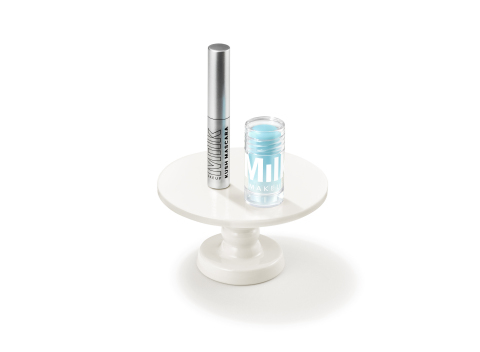 First up for the year: Milk Makeup Kush Mascara and Cooling Water. The choice doesn’t stop there for the most loyal Sephora clients, VIB and Rouge members may opt to add 250 bonus points to their accounts in lieu of the free birthday gift. Rewards Galore: Each month in the Rewards Bazaar, members may exchange their hard-earned points for a variety of trial-size products and sets and one-of-a-kind experiences. VIB and Rouge members also have the choice to redeem their points for full-size products monthly, while Rouge members can redeem 2,500 points for a $100 Rouge Reward, to use on their favorite Sephora products. New rewards will be released in the Rewards Bazaar every Tuesday and Thursday, while supplies last. Full-Face Makeovers: Rouge members may receive free Makeup Deluxe Full-Face Makeovers with no minimum purchase. Appointments can be booked through Sephora.com, the App or by calling your local Sephora store. The Beauty Insider Community: A destination for all beauty-lovers to find inspiration, ask questions and get recommendations in an unsponsored, real-time, “real talk” social setting. 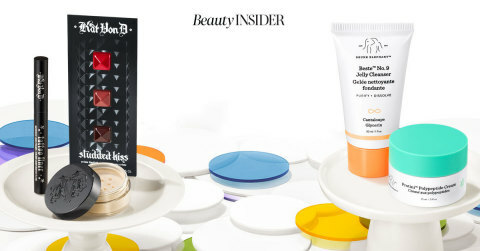 To learn more about Sephora and the Beauty Insider program, please visit sephora.com. Starting now through the end of January, program changes will go into effect across Sephora, including Sephora.com and Sephora inside JCPenney. ** To learn about the latest beauty news at Sephora, follow along @Sephora and #BeautyTogether. *All current Rouge members with Free Flash shipping must choose Free Flash as their Celebration Gift to continue this service starting February 2019.